Nobles Funeral Home and Crematory announces the funeral services for Karen Sue Stephens Orvin, age 59, who passed away Friday, January 18, 2019 at Memorial Health in Savannah. 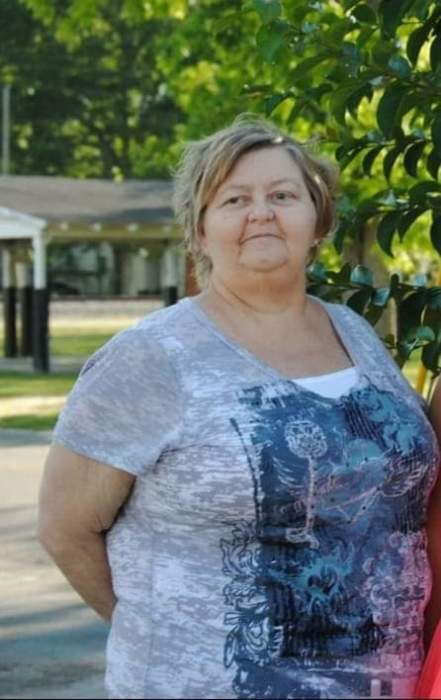 She was a lifelong resident of Appling County, a seamstress and a member of Sandhill Creek Church. Mrs. Orvin was a loving wife, mother, grandmother, daughter and aunt. She was preceded in death by her father, Frank Stephens and sister, Rebecca Altman. Survivors include husband, Roger Orvin of Baxley; daughter and son in-law, Enga and Nicholas Bedgood of Baxley; mother and step father, Sue Stephens Sloan and Eldon Sloan of Baxley; one grandchild, Ethan Orvin; brother, Allen Stephens of Baxley and several nieces. Funeral services will be held Monday, January 21, 2019 at 11am at Sandhill Creek Church with the Reverend Karl Sexton officiating. Visitation will be held Sunday, January 20, 2019 from 6-8pm at the funeral home. Active Pallbearers will be Tony Hand, Gregg Hand, Danny Hardwick, Donnie Varnadore, Danny Orvin and Justin Orvin. Honorary pallbearers will be CHSGA nursing staff and Toombs Dialysis. Nobles Funeral Home and Crematory is honored to serve the family of Karen Sue Stephens Orvin.